Are you ready to grow your business but have no idea where to begin? 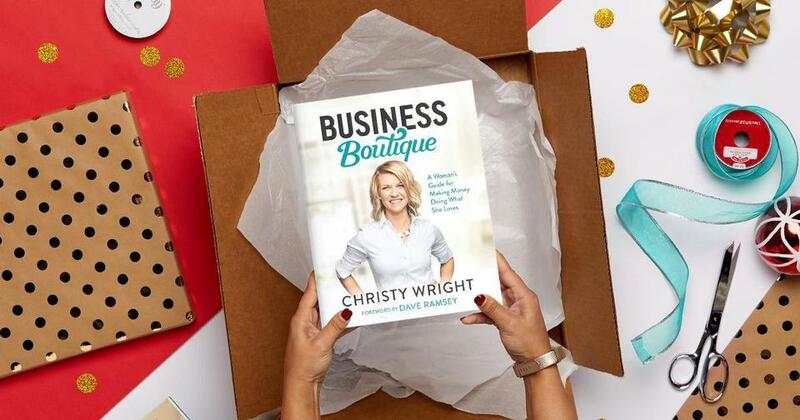 Whether you’re the CEO of your own company or just considering a side hustle to make extra cash—you need to read Business Boutique, written by Ramsey Personality Christy Wright. Christy knows firsthand what it takes to start and build a business, and she wants to help equip you! As a certified business coach, Christy has seen and heard it all. And she’s passionate about setting up your business to win! When she was a little girl, Christy watched her mom run her own bakery, and there began her passion for businesses owned and operated by women. I had always loved sewing. I had always loved baking. I had always loved design. I had always loved piano. I had always loved gardening. I had always loved math and numbers. I had always loved kids. I had always loved building. I had always loved . . . In Business Boutique, you’ll learn the practical side of things, like how to set prices and file taxes, and you’ll get marketing know-how to build your brand and grow your customer base. Of course, let’s not forget about budgeting for your business. Yes, even your business needs to follow a budget! But first things first—let’s get to Christy’s step-by-step plan for your business. Christy compares her plan to a four-tiered bakery cake—and every good cake needs a sturdy base layer to hold it up. It doesn’t matter how fancy the cake looks on the outside. You still need solid footing. Think of this first tier as the foundational piece your entire business will be built on. Give yourself permission to start dreaming and looking into the future. What do you want your business to look like next year, five years from now, and beyond? Think about what made you want to start a business in the first place. What’s your why? Maybe you’ve noticed a need in the marketplace that isn’t being met. Or you just want the flexibility of making an income while still watching your children at home. “Your why is what gives meaning to your work. When you know your why, your actions have a deeper level of satisfaction and purpose,” Christy says in Business Boutique. Whatever your reason is, know your why and keep it at the forefront of your mind as your business expands. With Business Boutique as your handbook, you’ll learn how to create a vision for your business and then set actionable goals to make your dreams a reality. Next, it’s time to find out what you love and what you’re good at. What are your strengths? What excites you? What are you passionate about? Are you not sure? Christy says to take some time to think about what you enjoy doing, what you excel at, and what others encourage you to do. Then ask yourself, What comes effortlessly to me, and what kinds of things give me energy rather than zap it? Here’s another tip from the book: Plan your business around your life. Christy says to make the most of your time by scheduling your work hours for when you are most productive and effective. That might mean you’re working during your baby’s nap time or scheduling your office hours from 4–11 p.m. because you’re most productive in the evening. That’s the beautiful thing about owning your business! You’re in charge, and you can make the dynamic all your own. And remember. You’re running a business here. Don’t be ashamed or afraid to make a profit! In Business Boutique, Christy says, “Earning a profit is responsible and smart.” Know the worth of the product you’re offering and don’t be afraid to charge the appropriate amount for it. Okay, you’ve got the idea in your head and you’ve built a solid foundation. Now it’s time to start digging through the operational aspect of managing a business. But don’t be afraid! In Business Boutique, Christy walks through the logistics you need to know to get that business of yours running efficiently. 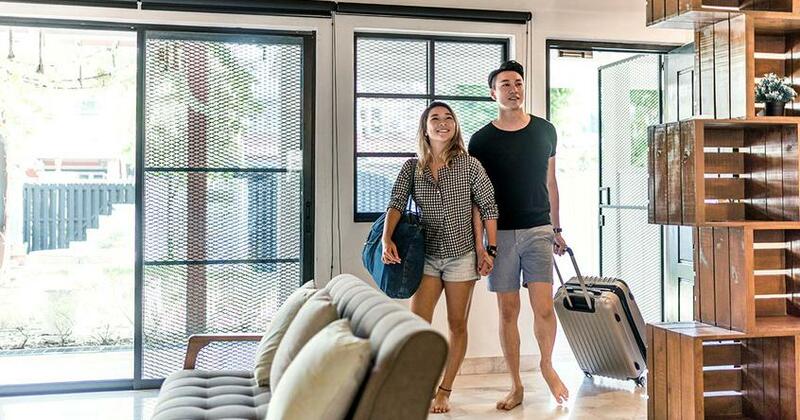 “With a little work on the front end, streamlining these elements of your business will not only set you up to be more efficient, but will also help you follow through,” Christy says. When it comes to marketing your business to the public, Christy says you need to learn four key things: who you are, who your customers are, where they are, and how to talk to them. Marketing doesn’t have to be daunting. Christy recommends taking some time to really get to know your brand. What’s the look, tone and feel? What kind of story is your content telling? Do your research. Learn your demographic. And start brainstorming ideas of how you can reach them! Creating your own business from the ground up can be overwhelming, but no matter what stage of the game you’re at, Business Boutique is your handbook. Whether you’re just getting your business started or you’re a seasoned pro, Business Boutique can equip you with the tools and support you need to make your dream happen! Grab it now for only $10! 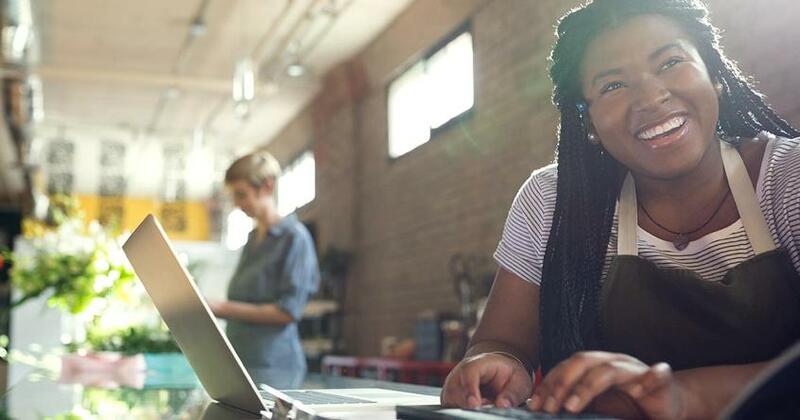 Keep costs down as you build your side business with these three ideas from business coach Christy Wright.